Lexington Vice Mayor Steve Kay talks with Aldona Valicenti about LexGig. Lexington, Ky. (Feb. 12, 2018) — Two city officials, Aldona Valicenti, chief information officer for Lexington-Fayette Urban County Government (LFUCG), and Scott Shapiro, chief innovation officer for Lexington Mayor Jim Gray, will speak at the University of Kentucky on Monday, Feb. 26, about LexGig, a high-speed broadband initiative. The talk will begin 5:30 p.m., in Woodward Hall (Room 307) of the Gatton College of Business and Economics building, located at 550 S. Limestone. Visitor parking is available in the South Limestone Garage, Parking Structure 5. The event is free and open to the public. Those interested can claim their free tickets on Eventbrite: https://lexgigleaders.eventbrite.com. Valicenti and Shapiro are two of many officials who have been meeting the past three years to improve Lexington’s broadband capacity and access. The LexGig project launched in September 2014 when Mayor Gray announced that the city would take the first steps in assessing new public-private and solely private partnerships to build fiber optic infrastructure. In November 2017, Mayor Gray announced an agreement with MetroNet, an Indiana-based cable and internet provider, to build the new fiber-optic network that will transform Lexington, Kentucky’s second largest town, into a gigabit city with ultrafast internet access. “This is a great opportunity to learn more about Lexington’s broadband initiative and how this may affect various sectors of the community,” said Jeff Huber, professor and director of the school. 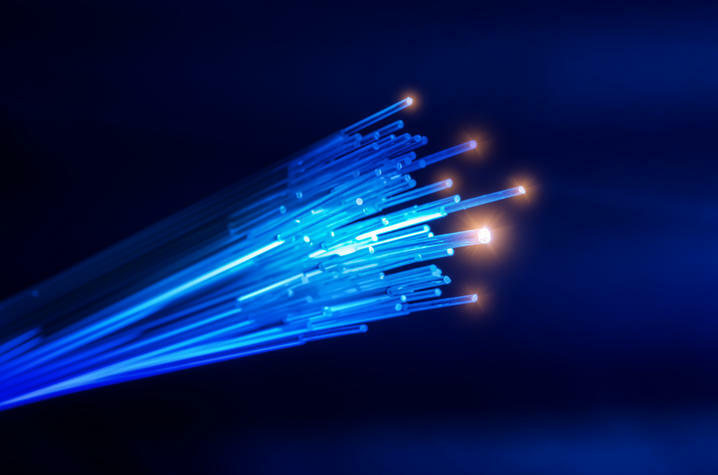 A gigabit city is capable of up to 1,000 megabits per second. Lexington’s 16.2 megabits per second ranks 38th of 96 Kentucky cities and towns where internet is available, according to www.lexingtonky.gov/gig. To put it into perspective, in the past it would have taken a Lexingtonian 30 minutes to download a 90-minute high definition movie. With gigabit internet, downloading a movie at one gigabit could take just 30 seconds. Not only will gigabit internet improve resident life and attract new businesses, it can increase access across the city allowing school systems to better leverage educational content available online. “Lexington's push towards gigabit internet throughout the city will clearly provide increased access speeds for individuals and companies with access to new network infrastructure. However, the move to high-speed connectivity could also lay the groundwork for smart city initiatives in the city,” said Bryce Newell, assistant professor of information communication technology. The lecture will provide an in-depth look at Mayor Gray’s strategic goals, explain how the gigabit network project fits within the mayor’s vision, and review how information technology is driving efficiencies in city government and enhancing interactions with citizens. Valicenti was appointed chief information officer (CIO) for the Commonwealth of Kentucky during Gov. Paul Patton’s administration and has received numerous awards, including recognition as “public official of the year” by Governing magazine. She was appointed as Lexington’s CIO in September 2013 and has implemented and invested in network operations and cyber security. Throughout the LexGig project, Valicenti and Shapiro adopted another vision that also fits into the mayor’s view of Lexington as a University City. Shapiro’s work on a city-benchmarking project led him to learn more about a new species of city — the University City — and he writes and speaks frequently about the concept’s implications for Lexington, its peers and aspiring University Cities. And, as part of a broader Smart Cities effort, he is launching the city’s first text-notification system, LexAlerts, providing advanced notification to citizens regarding the impact of city services on a house-by-house level. Construction on the new fiber-optic infrastructure started in January 2018 and the first customers could be on MetroNet’s network as early as summer 2018. For more information on the Leaders of LexGig talk, email infosci@uky.edu.